My husband and I recently attended a concert with friends at Wolf Trap. Located in Vienna, Virginia, Wolf Trap is the only performing arts center that is also a national park. The 117-acre park offers recreational activities, dining venues, and over 80 performances in a majestic outdoor amphitheater each summer. 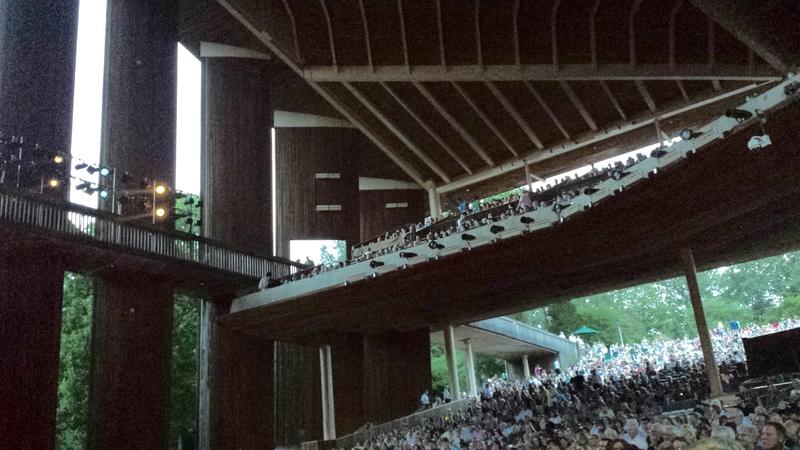 We love attending events at Wolf Trap and as I swayed to the music and looked over at the lush forest beyond the sloping green lawn, I realized that Wolf Trap is built around two key factors for well-being: arts and nature. The link between nature and well-being is clear. Studies show that exposure to nature reduces stress, boosts mood, and increases mindfulness. Research at Berkeley found that after standing in a grove of towering eucalyptus trees, people were significantly more likely to help someone who dropped something as they passed by. Being in nature activates the region of the brain associated with empathy and love, which inspires feelings of compassion. There is growing evidence of the impact of arts on well-being. The arts can reduce stress and increase learning and creativity. They bring people together, and social connection and community are critical for well-being. A recent study of low- and moderate-income neighborhoods in New York City found that the neighborhoods with greater cultural resources had lower crime rates, fewer cases of child abuse and neglect, and children with higher test scores. The arts and nature can both provide awe-inspiring experiences. Awe gives us a sense of hope and meaning. It also has health benefits, like decreasing inflammation. Unfortunately, people are spending less time in nature these days and when we are outside our attention is often focused on our smartphones. People are also attending fewer arts events. Summer is a great time to enjoy the beautiful outdoors and there are many places where you can attend concerts in parks or amphitheaters. Do yourself a favor and make plans to see a show!